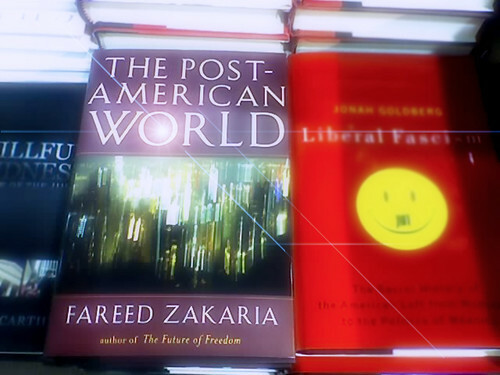 I’m looking forward to reading this book to have more detailed understanding of Zakaria’s thesis: the Rise of the Rest. Europe, my gut feeling tells me that Zakaria’s thesis is very sound. But the devil, as they say, is in the details. conservative, too liberal, too American-centric, or too anti-American. exposed to international issues (Fareed Zakaria is editor of Newsweek International) this book looks promising. But I’ll withhold the rest of my praise or critique until I’ve read the book. Will post my review soon. For those of you who have already read it, feel free to share your thoughts in the comment section. I wjll certainly digg it and for my part suggest to my friends. I’m confident they will be benefited frdom this website. This was posted by c4chaos on Thursday, May 8th, 2008 at 2:45 pm. Bookmark the permalink.